It was a very busy day in an errendy way. Plus a big fat dental appointment which left me with a numb head and a pronounced lisp. This was interesting when I was trying to ask an assistant in Waterstones where the books on ‘dance’ could be found. It came out like ‘Banff’ and she didn’t have a clue what I was talking about. Then I blurted out ‘ballet!’ and all was fine. I’d gone in there originally to buy H is for Hawk by Helen McDonald which won the Samuel Johnson prize for non fiction yesterday. I’ve been picking that book up and putting it down again for months, so the prize gave me the perfect excuse to buy it. But I couldn’t leave it there, could I? As I was about to leave I remembered I’ve been meaning to buy a book about ballet for my daughter which led to the Banff moment. 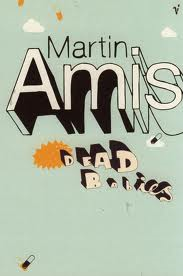 I found the perfect one, plus another book which will be great for Christmas and then couldn’t resist having a little look to see if they had Martin Amis’ second novel Dead Babies…They did. I re-read The Rachel Papers a few months ago for the first time for thirty years and found it as superlatively brilliant as I had when I was 21 and I’ve been planning to try the exercise with Dead Babies too. Suddenly, despite the fact I already had a lovely new hardback book in my hands, this seemed the imperative day to do it. Despite the awful title it’s one of the funniest books I’ve ever read and was one of the things which made me bond with my best friend Victoria when we met at uni. 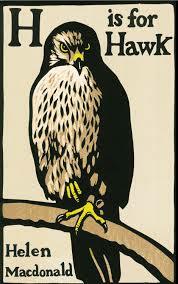 We were both obsessed with Martin Amis. We still quote passages from both of those books to each other. ‘Keith Whitehead lay between sandpaper blankets, farting like a wizard’ is one of them. 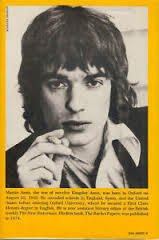 I’m still very much in love with Martin Amis and to me he will always look like this, although I know he now looks like his late father on a bad day. So that was four books, but was that enough? Of course it wasn’t. 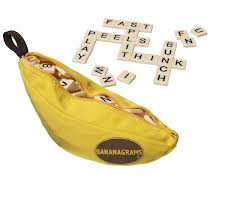 I grabbed the game Bananagrams, which everyone says it mahousive fun, with Christmas jollies with my brother Nick and his family in mind. And Led Zeppelin very loudly. My 92 year old mum has arrived for a visit, so I made a fish pie and some cup cakes to welcome her. Dance Australia magazine is worth a read: there are some good, well researched articles written for young dancers.